I am limited on my free time and extra funds, but no matter. When it comes to giving back, I want to participate in that as much as possible. It absolutely breaks my heart that there are children in this country who don't eat balanced meals and there are children who go hungry more often than not. When I heard about Love with Food, I knew I had to be a part of it. 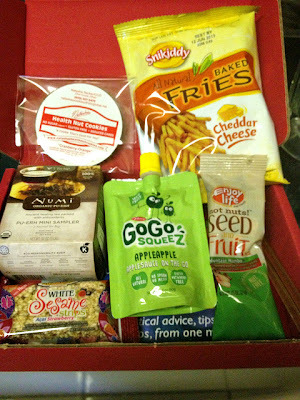 With each Love with Food box, you receive gourmet food samples, which is great, but even better, Love with Food will donate a meal to a food bank. It's win-win! Love with Food offers plans on a per month basis, or you can pay ahead by three, six, or twelve months, with additional savings per level. The maximum is $12.00/month and you can cancel at any time. This month, the topic is all about healthy and tasty lunches for school. 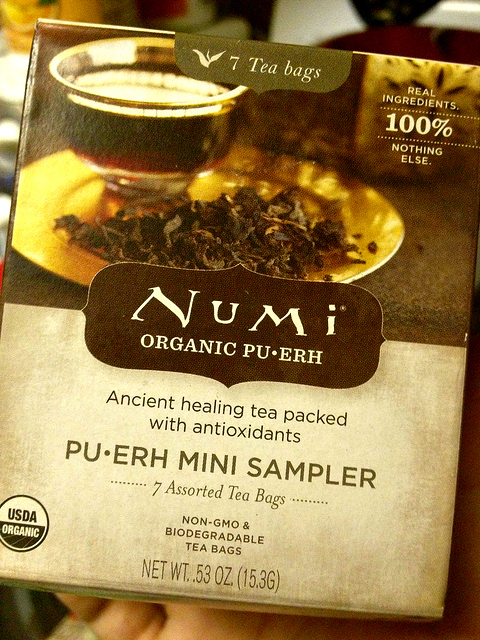 Organic Pu-erh Tea from Numi: Exotic and aromatic, these unique blends of black tea are high in caffeine. Blackberry Blossom Honey Straws from Nature's Kick: To enjoy the floral bouquet of this liquiq nectar, snip off the ends of your honey stick and stir into your Pu-erh Tea. 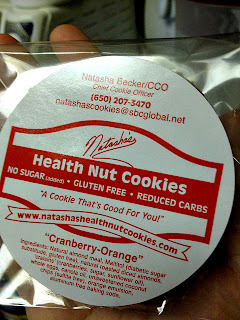 Cranberry Orange Cookie from Natasha's Health Nut Cookies: Made with almond meal, these all-natural baked goods are diabetic-safe, low-carb and free of gluten. 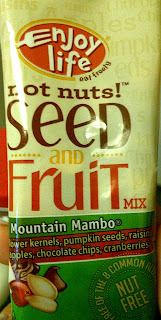 Mountain Mambo Mix from Enjoy Life Foods: Free of the 8 more common food allergens, this fun trail mix includes raw sunflower kernels, apples, and tiny chocolate chips. 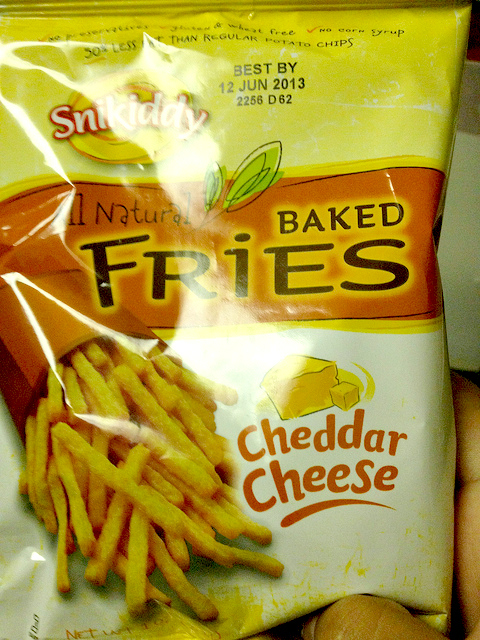 All-Natural Cheddar Cheese Baked Fries from Snikiddy: Gluten and wheat free, these crunchy snacks have half the fat of regular potato chips. Applesauce from GoGo Squeez: 100% natural fruits meet our fun pouch to bring you a healthy snack the busiest of people can enjoy. 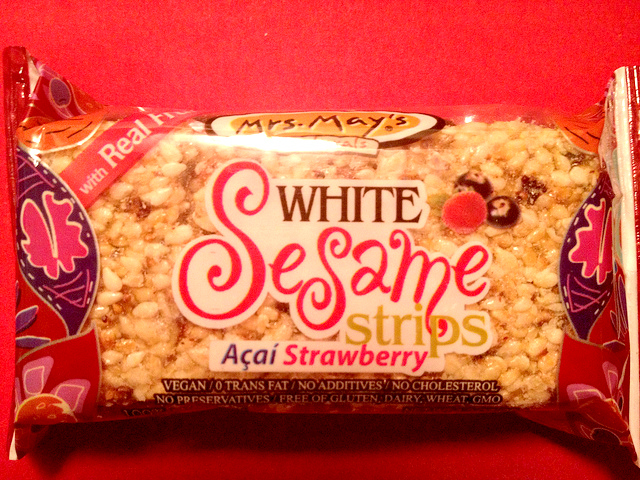 Acai Strawberry Sesame Strips from Mrs. May's Naturals: White sesame seeds mingle with acai superfruit and antioxidant-rich strawberries. So far I've only tried the baked fries (and loved them! 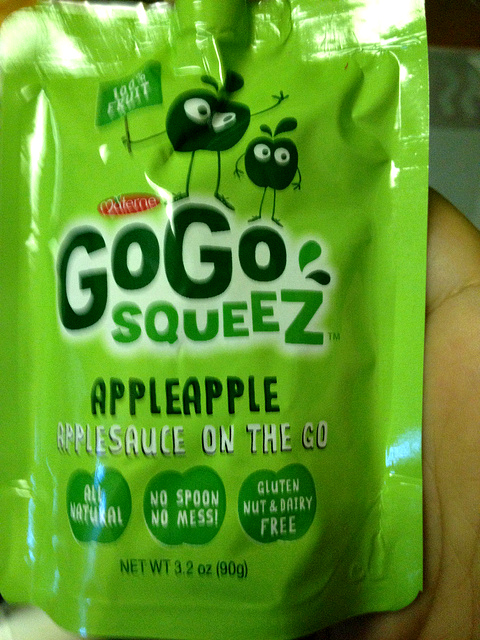 ), but I'm looking forward to seeing how everything else tastes as well. 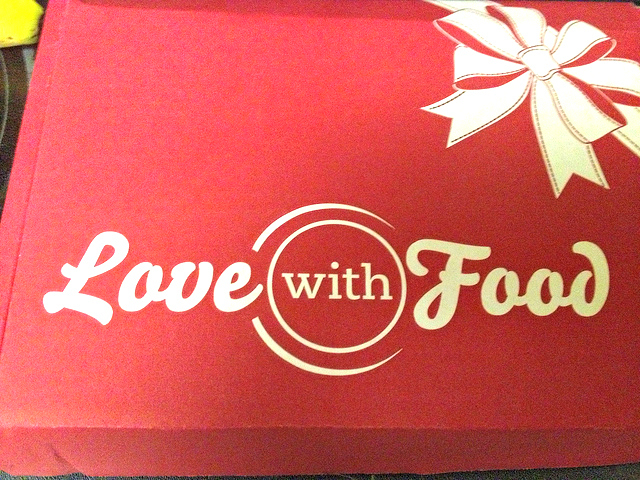 Do you want to sign up for Love with Food, receiving goodies and helping to donate to a great cause? Click here! Do you volunteer with or donate to an organization?